Floors that are constantly subjected to water, fats, oils and other liquids create an unsafe, dangerous working environment for employees and a liability that companies cannot afford to ignore. Slip resistant flooring, anti-skid finishes and slip resistant coatings from Surface Solutions contains coarse particles that impart a rough, abrasive surface that resists sliding, skidding or falls, helping to make wet, slippery floors safer. Our slip resistant flooring solutions are OSHA-compliant, creating just the right amount of friction to ensure stability. Surface Solutions expert consultants can also customized slip and skid resistance to facility specifications. 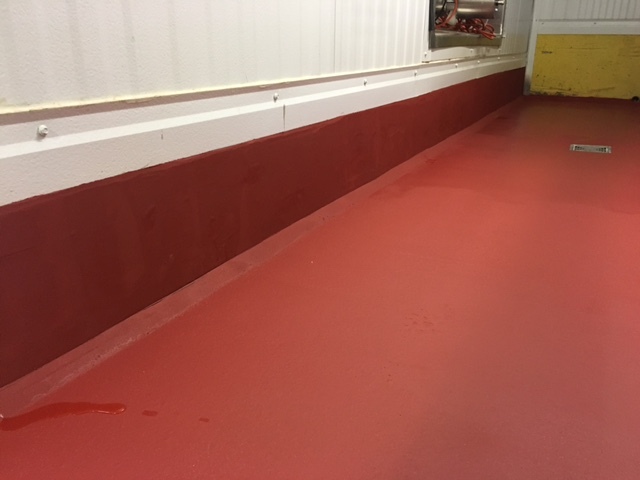 Surface Solutions provides expert consultation and installation, and a full line of non-slip and non-skid flooring solutions in addition to other industrial flooring systems. We are committed to 100% customer satisfaction on every project.